Now that I only have one day left to open I wanted to go over some of the standout products in the advent calendar. Benefit is a brand that has a ton of really good products with amazing packaging, and I always want to try more so this calendar was so worth the money. I'm going to be listing out a few of my favourites here but keep in mind over my exam period I haven't tested them ALL out. I don't have any photos to attach so I'm taking a few from Benefit's website. The blushes are amazing so I'm always happy to get an extra sample size Coralista, you can read my review on the Benefit boxed blushes here. I found that the Hoola bronzer had the same soft texture that's easily blended and it actually works on my extremely fair skin. So glad I got to test this out. I tested out the Bad Gal liner that's said to be waterproof and it did last on my eyes all day. I smudged it out on top and even brought it to the bottom lash line (always a disaster for smudging) and it actually lasted for the entire 8 hours I wore it at school. 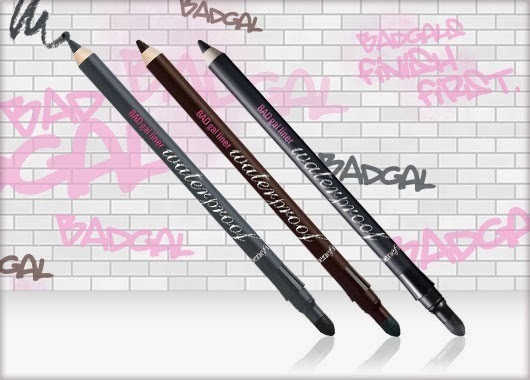 Definitely a good dark black pencil liner to get if you're looking for one. It's pretty dark, not as dark and creamy as others but I think it works really well if you want to smudge it out which is the way I typically wear liner because I'm so fair. Mine did not come with a smudger end but the full size does which is awesome! I just ran out of eye cream and was waiting for the Benefit It's Potent eye cream. I find it really good for the dryness I get and it feels really good. It hasn't dramatically fixed my dark circles or bags which are awful.. but not eye cream has been able to so I didn't expect that. I'm looking for mainly hydration right now and this did the trick. As I mentioned here the Stay Don't Stray Primer is really good for me as a primer for my under eye concealer. It doesn't work well for my super oily eyelids but it's amazing under the concealer. But definitely check out my previous blog for more info. 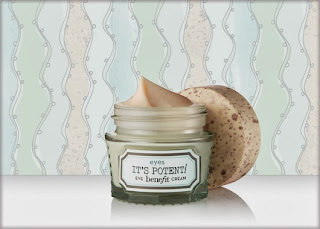 I LOVE Benefit stains, as well as the highlighter high beam. I think these last so long and are so gorgeous. I love using the stains on my cheek because it always gives a gorgeous natural look and it's easily blended/built up. I'm not going to post pictures of all of them but I love them. If you're looking into a really unique multi purpose lip/cheek product you need these. Plus the smell of Benetint I'm obsessed with.